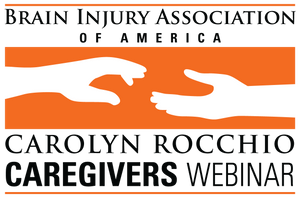 A Carolyn Rocchio Caregivers live webinar featuring Mark Perna, Ph.D., Neuropsychologist, Pate Rehabilitation. Airs live at 3 p.m. EST June 6, 2019. Registration closes at 11:59 p.m. EST June 4, 2019. Registration closes at 11:59 p.m. EST June 4, 2019. Share some strategies, tips, and resources for families to better understand and manage impulsiveness.